Amplify produces easy to use, responsive websites to elevate your business and your brand. Simple design to make your products shine. Our design and marketing team can produce your website, build your brand and marketing strategies, direct your video content, incorporate solid social media practices, and deliver anything else that you need to build your brand. Let us know how you want to communicate your message to the world and we'll help you build your brand story. 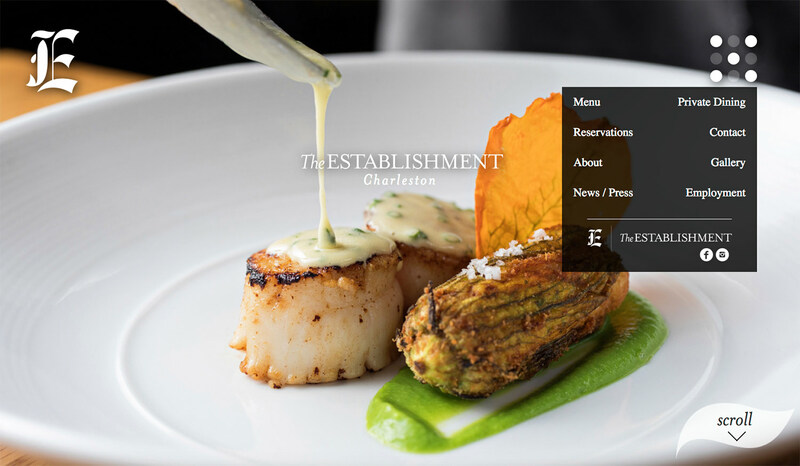 The Establishment wanted Amplify to get out one simple message: that they were bringing incredible seafood back to Charleston. They wanted us to create a responsive website that showcased their incredible cuisine, sophisticated wine list, and comfortable atmosphere. We brought in a photographer to capture the quality and simple beauty of chef Matt Canter's cuisine and the details of the restaurant, gave them a way to email a menu daily to update the website in seconds without complicated database interaction, and off they went to become one of the hottest restaurants in the city! 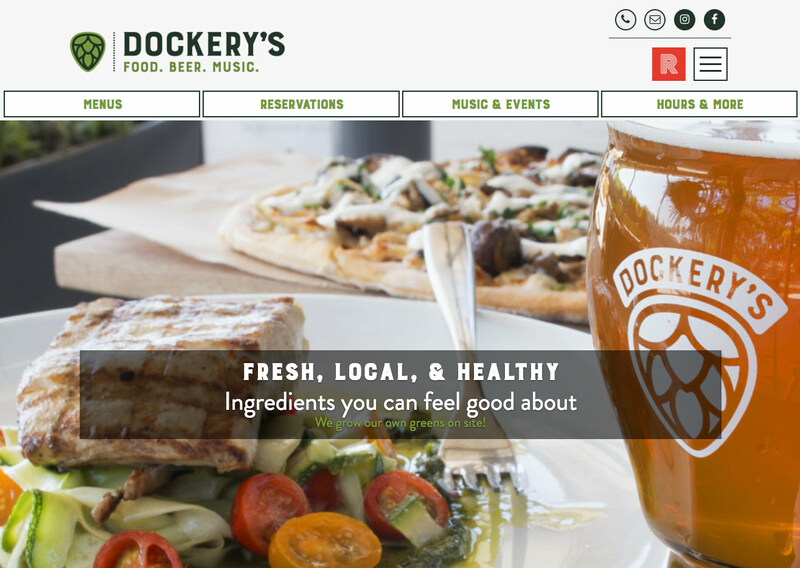 Dockery's brings to Daniel Island a new, large restaurant and brewery with a side of live music. They asked us to deliver a website to match their branding that they could use to highlight events, beer releases, and, of course, a menu that updates with the seasons. We delivered a fully responsive site that they can customize as they wish. 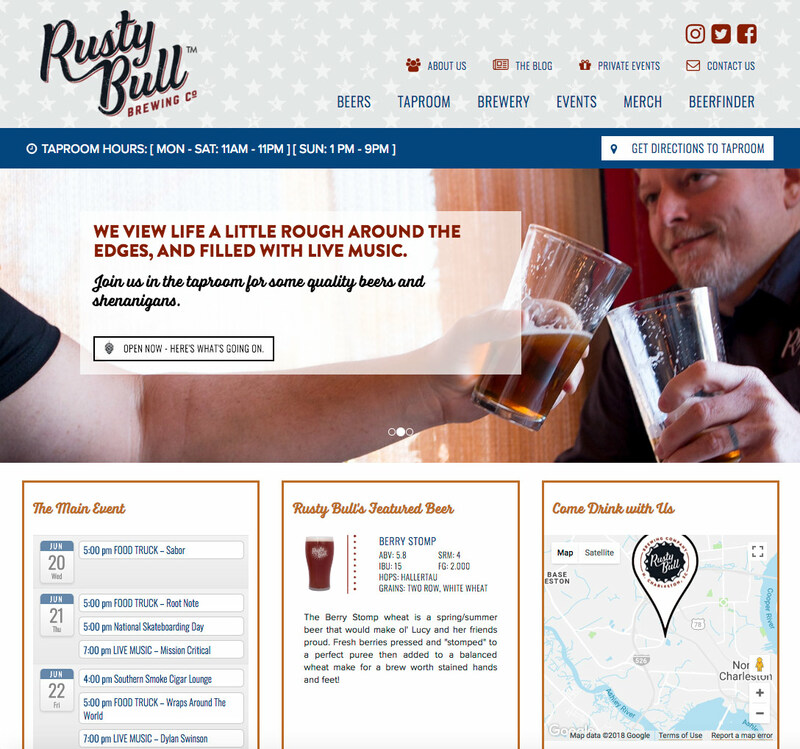 RustyBullBrewing.com was built with the understanding that the guys at RB are going to be constantly updating their site with new events, new beers, and a custom blog where they'll share their ideas on beer-making and the brewing life. Amplify built a website with an easy to use admin area that gives them complete control over their website from a secure area. Amplify also did a photo shoot with Ben and Brian to produce all of the photographs for the site. It feels good to give back! 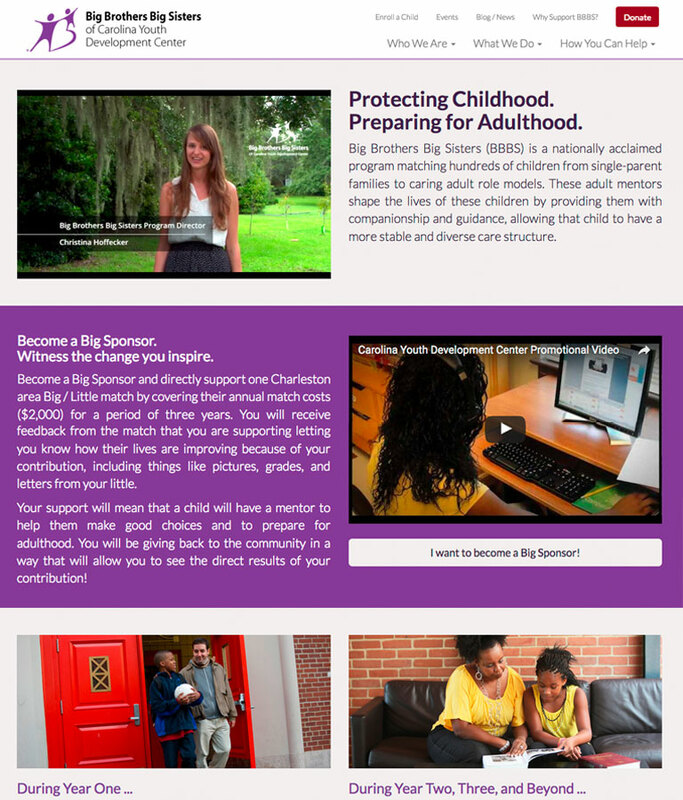 Amplify completed the website and promo video for the Big Sponsors program for Charleston Youth Development Center and the Big Brothers Big Sisters program to build awareness in the community about the financial needs of this incredible mentoring organization. We then worked with them on preparing and presenting their message to community groups and leaders in order to raise funds. 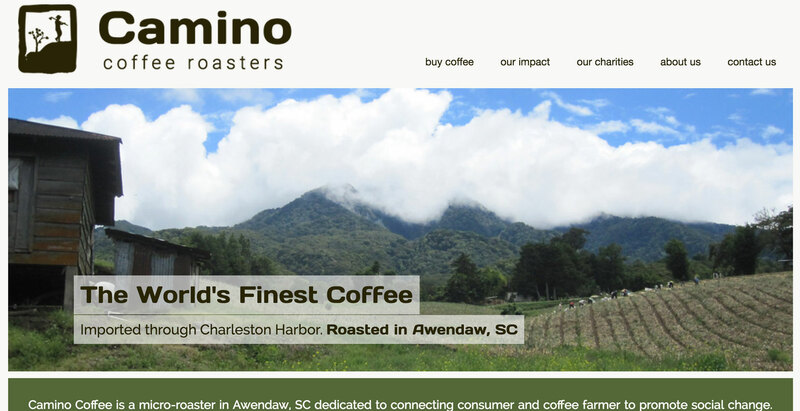 Camino Coffee Roasters' website educates potential buyers, both large retail chains and individual consumers, about their coffee and their commitment to giving back to the coffee growing communities throughout the world.